Now we are well into autumn and all back settled into our routines it was a month for us to do things differently and use new ingredients and techniques. It was time to go back to school this month for 'Something new'. Off the top of your head if you were to list the ingredients for brownies you'd probably say chocolate, flour, butter, sugar, avocados...avocados? 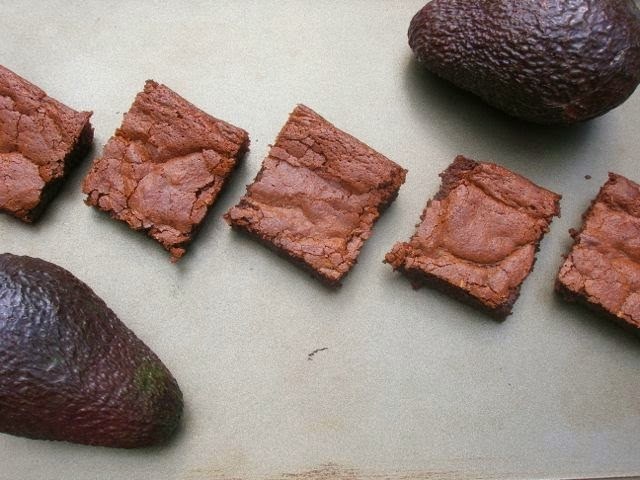 Oh, yes and the anyone can prove they work in baking it is the Queen of Chocolate herself, Choclette over at Chocolate Log Blog and her Spicy Peruvian Avocado Brownies. Are they cakes or are they biscuits? 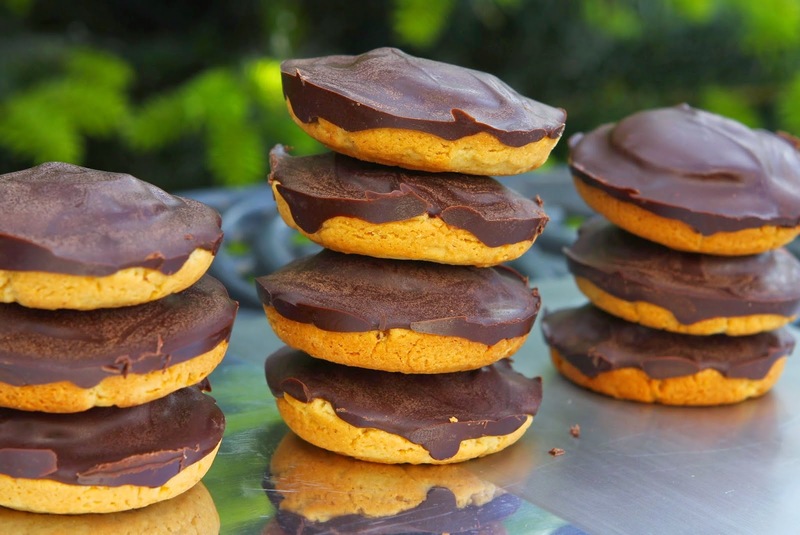 Yes, it's Jaffa Cakes we are talking about but what we do know is they are gluten free. Another amazing creation from Kate at The Gluten Free Alchemist and this time in the form in some very seasonal Mixed Berry 'Jaffa' Cakes. A new find in glutinous rice flour (which confusingly is gluten free) makes the perfect base for these Jaffa cakes. We have lists of 'need to bake' and Kirsty over at Hijacked By Twins is no exception. Her husband has been making noises about an Earl Grey Cake for weeks so it was time for it to be made. With the bergamot in the Earl Grey and the citrus hints in the cardamom this makes the perfect cake for afternoon tea. Not content with just her Jaffa Cakes this month Kate was back this time with pudding. 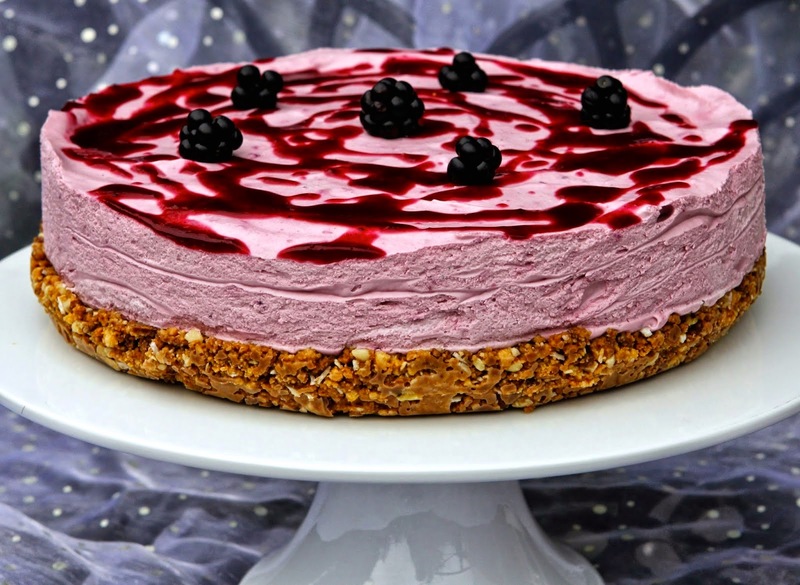 A beautifully and naturally coloured Blackberry-Coconut Chocolate Nobble Cheesecake was the result of her using a selection of new gluten free products and in particular coconut cream. Who needs food colouring when you can get a pink like that from balckberries? It's no wonder Sudha's blog is called Spicy, Quirky and Serendipitous when she chances upon finds such as coconut flour and comes up with a creation such as Coconut Flour Cake with Coconut cream-Almond Frosting. Coconut flour is a naturally gluten free flour but requires a lot of moisture as it soaks it up. Instead of using just eggs for this Suhda added chai seeds and carrots. At first look at the Kiwi fruit cupcakes from Linzi at Lancashire Food you might think that an easy way of including Kiwi fruit in a cupcake. Yet it is not all about the decoration. 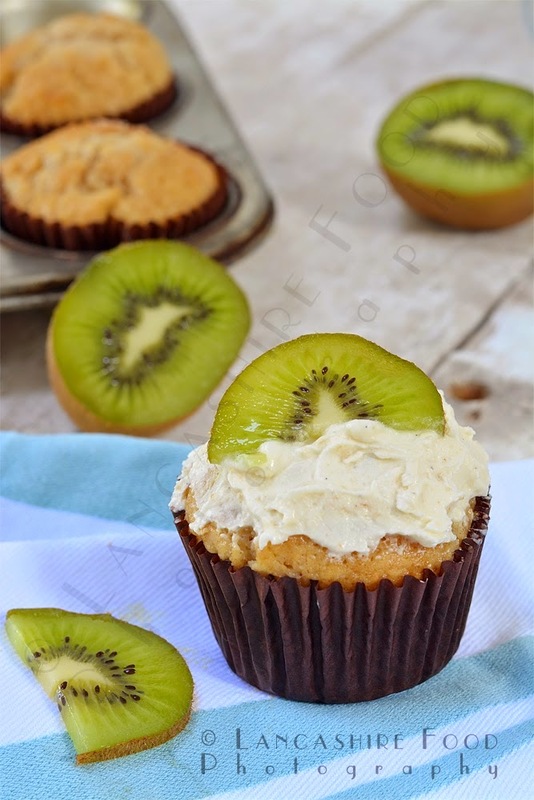 The Kiwi fruit is also in the cupcake mixture itself. This is also a recipe that works well with standard wheat flour and gluten free flour. Laura from I'd Much Rather Bake Than... as been bitten by the Bundt bug. 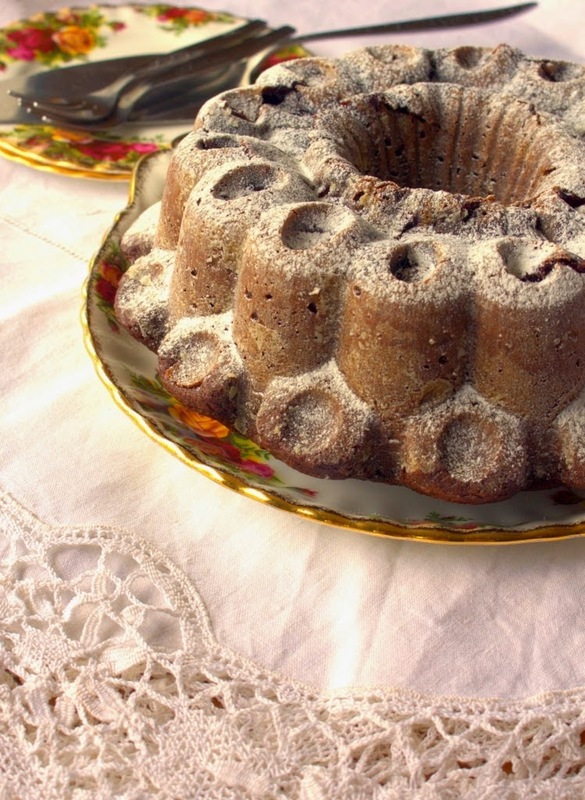 It's very easy to sit at home and stroke your collection of Bundt tins without using them. However, she decided to christening it with a Tunnel of Jam Chocolate Bundt Cake. Rich, dark chocolate with a spread of jam running through it for a sweet hit. Laura says you need nothing more than a cup of tea to accompany it. There was some more gorgeous natural pink colouring in Choclette's second offering this month. 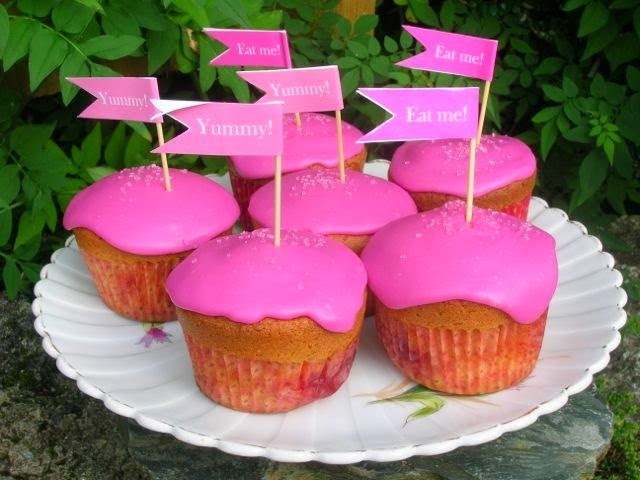 Her Orange and Beetroot Cupcakes with a Plum Surprise had a pink icing made with the water the beetroot had been cooked in. This was all used to cover a cupcake flavoured with orange zest and a hidden plum jam middle. I'm a big fan of traybakes as they are quick and easy to put together. Charlene at Food, Glorious Food has realised this as well and put together a Lime and coconut traybake. After making a lime syrup for the first time Charlene added toasted coconut and lime zest over the top. She also says this would be perfect to fit into a school lunch box. Even when something is old it can qualify as something new. Confused? Well don't be as we are talking about coming across old cookery books and making something out of them for the first time. Laura's second bake of the month is Kentish Cake which is from a book she found in Chesterfield's Antique Market. 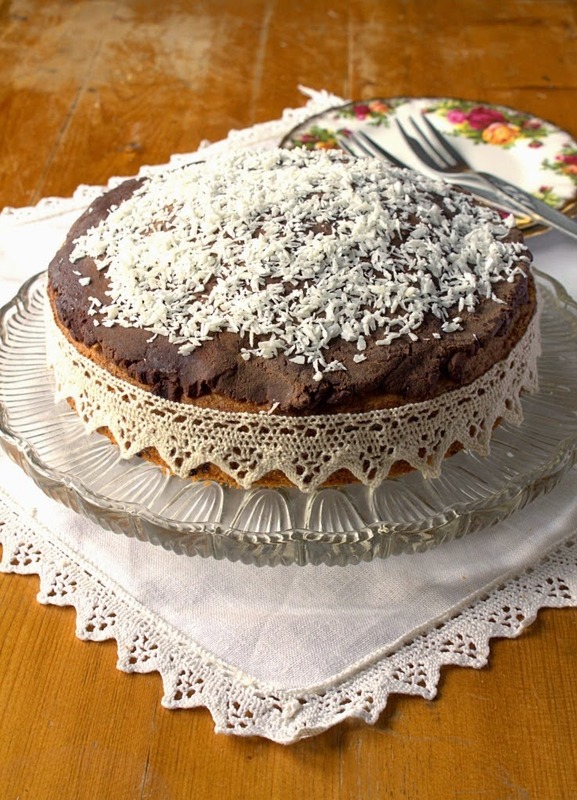 I'm not sure of the Kent connection but it looks like a delicious combination of almonds, coconut and dark chocolate. After a lovely cruise to celebrate a wedding anniversary and then back to work with a thump there was only way Pauline from Pauline's Occasional Baking Adventures was going to make it through the week – with cake! She decided to try out a new recipe for the end of the week with TGI Friday Bake – Orange Madeira Cake. With a zesty orange flavouring in the cake and the icing this is one way to keep you going until the weekend. It's always lovely to come across new blogs on Love Cake and this month we welcome Linsy from Home Cook Food. She was faced with the age old problem of having a favourite ingredient but wanting to make something new with it so she came up with Cinnamon Swirl Crumb Cake. A vanilla flavoured cake topped with a crunchy cinnamon crust. 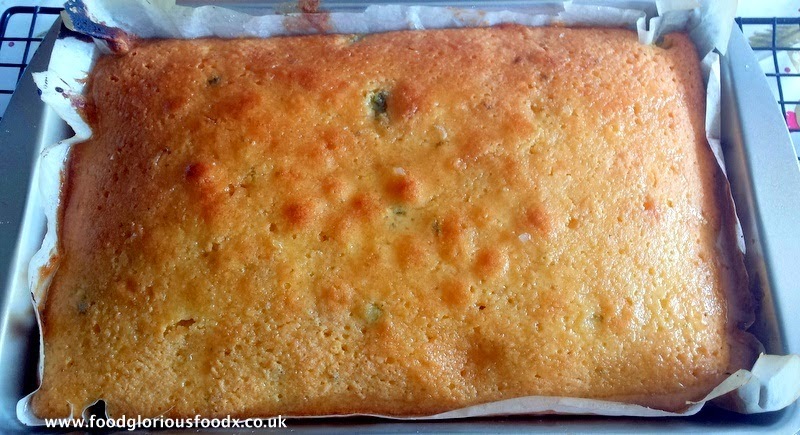 From sweet cake Linsy went to savoury with her Sweet Corn Cake - Mexican Style. It packs a punch with the optional addition of Jalapeños. Intriguingly it can be served alongside a Mexican meal of something like Enchiladas or as an accompaniment to ice cream. I decided to try out a new way of cooking cake this month. Obviously I've baked cakes in the oven and I've used the microwave. Despite a regular user of slow cookers I've never attempted to make cake in it before and went for Gingerbread. It won't be the last time I use the slow cooker. A lovely moist cake and no chance of it being burnt! Thank you to everyone who joined in this month. As always it was lovely to see my regular contributors and also get to know some new bloggers. 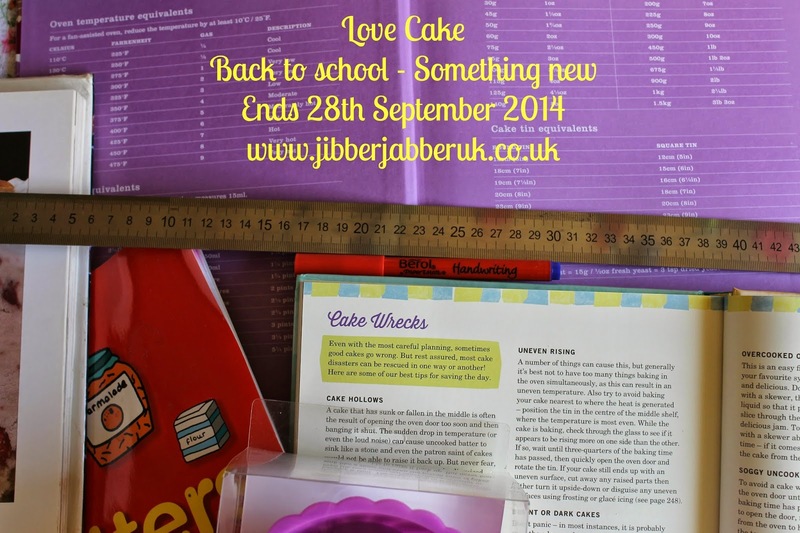 I'll be in a couple of days to reveal October's Love Cake theme and until then keep baking! Thaks for joining in this month! I must get to making your cake that's if I don't drink all the Earl Grey tea first! I love seeing what everyone else bakes! Great round up Ness! Thanks! You made some fab things this month. I still can't decide which one I like the most.